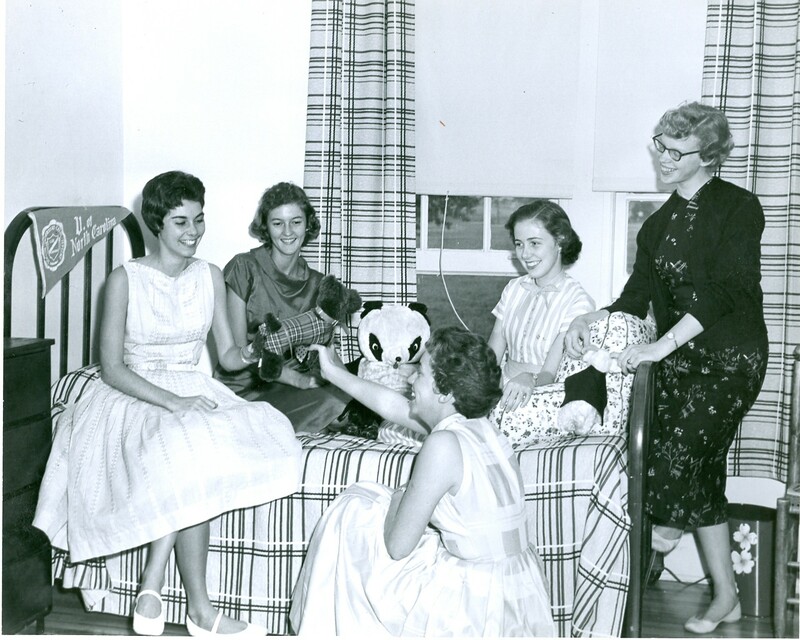 Several unidentified Meredith students from the 1950s socializing in the dorm rooms. If you recognize any of the ladies in this picture, please let us know by posting a comment! The woman standing on the right looks like Janice “Luther” Smith, ‘Class of ’60.